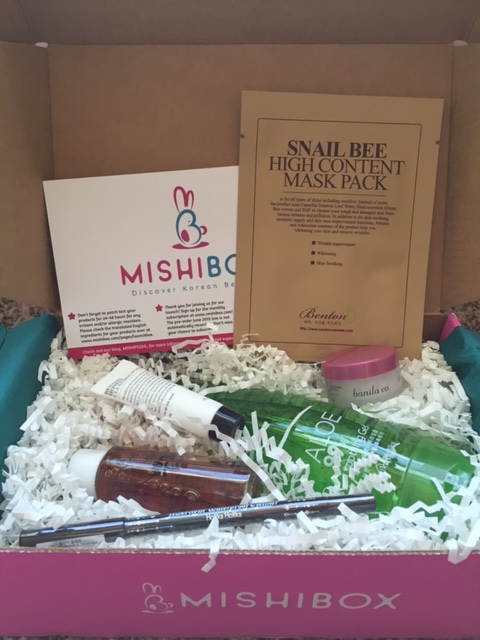 After waiting what felt like an eternity Mishibox has finally launched! I was so excited to see what their first box contained. In an industry that is currently oversaturated with beauty boxes it makes it hard to stand out from the crowd. Many have tried and ultimately failed so I chose to remain cautiously optimistic. Just a reminder that if you signed up for the June box it did NOT automatically renew you for the July box. You must sign up again to start monthly service. You can do so here. 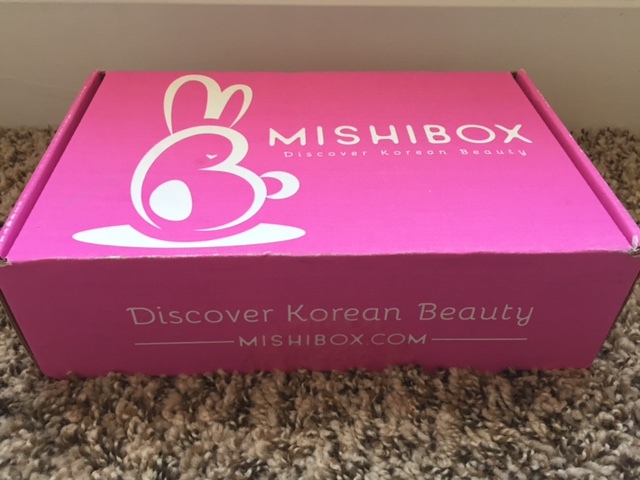 Mishibox is a monthly Korean beauty box subscription. They currently only ship to customers within the United States. If you sign up for the July box you can lock in the rate of $18.95 per month. Starting in August the price will increase to $19.95 per month. All prices include free shipping! 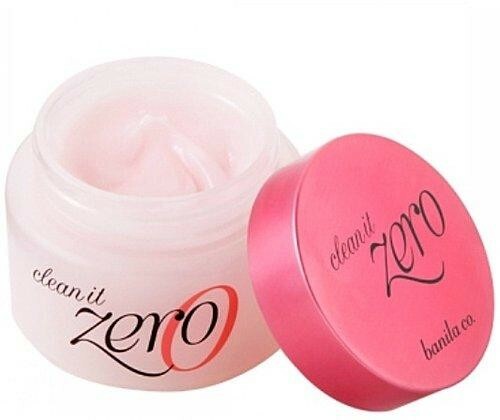 4-6 Beauty products consisting of full size & samples. Information card (directions) will be in English. 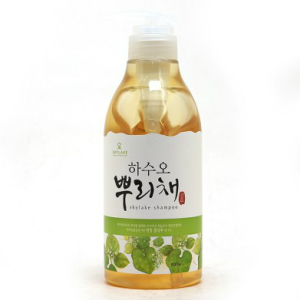 Ingredient list will be available on the website after they are translated. I love that this came in a pink box. I typically love all things girly. Everything arrived packed in tissue paper & paper scraps. I thought it was a cost efficient way to ship items. The products appeared to be dusty at first, but that is just the result of the packaging. Wipe them off & they are perfectly fine. THE GOODS!!!! So excited to see 3 full size items in their first box. Can you say Heaven? 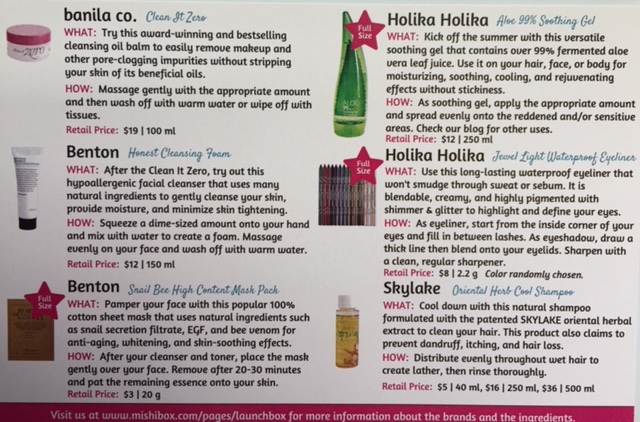 An information card in English to tell you what the product is, how to use it, & the retail prices. I actually just received my second order of this cleansing balm because I love it so much. Samples are nice when I am traveling or waiting for replacements to arrive. This goes in the win category for me. Benton has been on my must try list for awhile. I have a few other samples as well so now I have a complete line to try out. I know the Ph is high, but I am hoping that the Cosrx AHA/BHA toner I recently purchased will return my skin to the Ph level it needs to be. I am usually excited to receive sheet mask, but I am currently on the fence about this one. 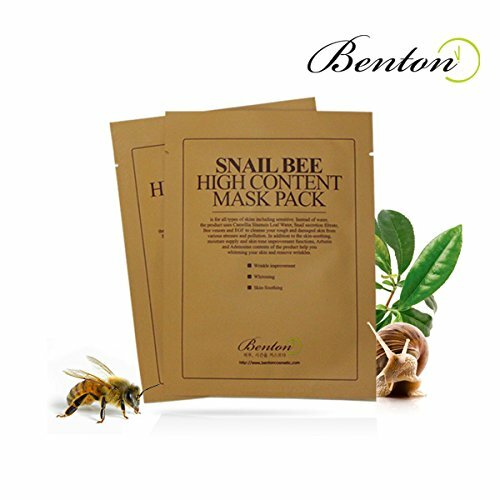 I love any product that contains snail, but I am hoping that I will not have any sensitivity issues to the “bee” portion. I will let you all know later if I loved it or if my face turned into a tomato. I have seen countless bloggers highly recommend this mask so fingers crossed! Be still my beating heart. 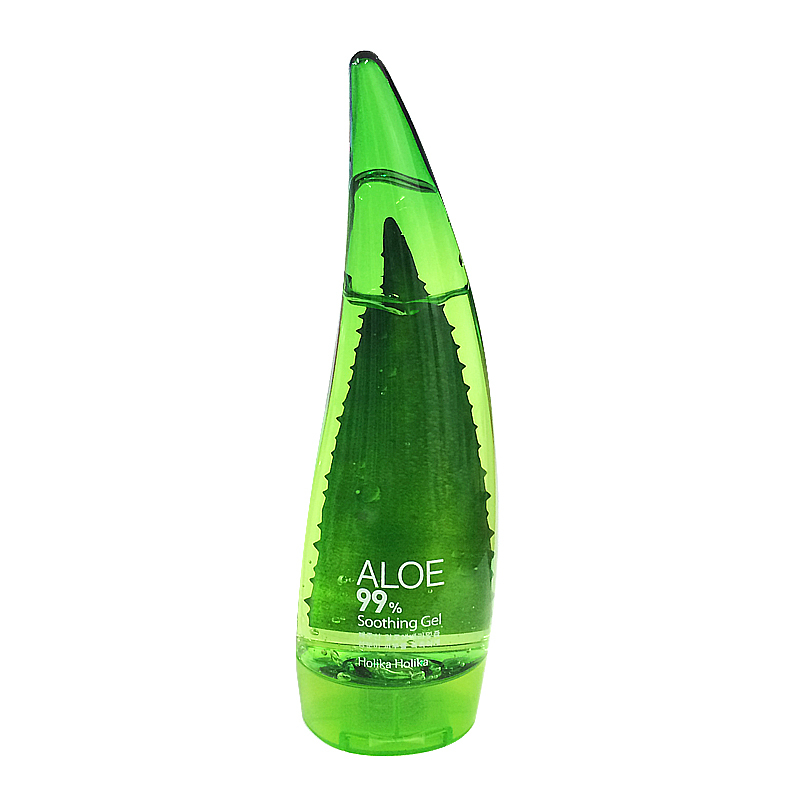 Since I am from Texas aloe & I have been longtime friends. The weather here is hot & humid a good portion of the year so this is a blessing. I will use aloe from head to toe. 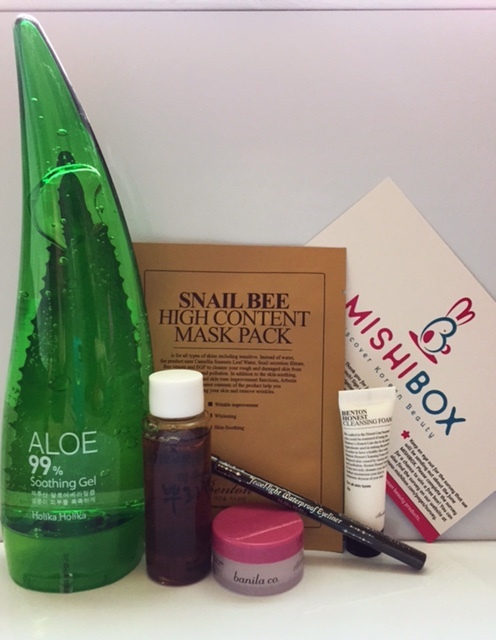 So much win Mishibox!!! I received color 01 (black jam). Let’s be honest here okay. It’s an eyeliner. Super exciting I know. On the plus side I can actually use this color so thank you basic black. I tend to view these as filler items for subscription boxes. 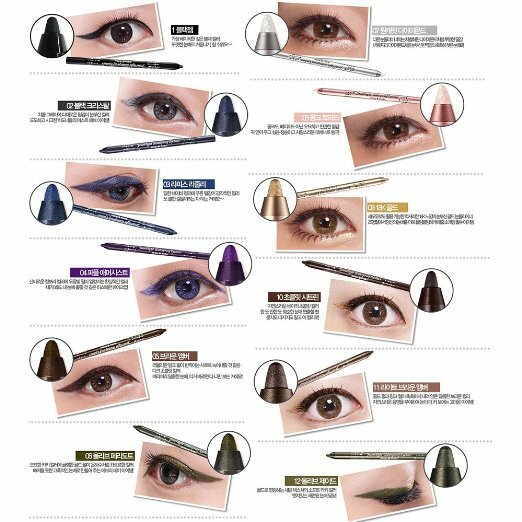 I don’t mind a makeup item every now & then, but I hope it is not a monthly occurrence. This caught my eye. My poor hair is hating the heat & even my beloved coconut oil is not doing the trick. My hair is a wavy frizzy hot mess! All I can say is thank God for buns. This shampoo has a strong smell; it’s almost like a stateside tea tree one I am quite fond of. I am honestly excited to try this out. With my luck I will fall in love & my wallet will cry, but I will cross that bridge later. I thought this was a solid first box from a new company. 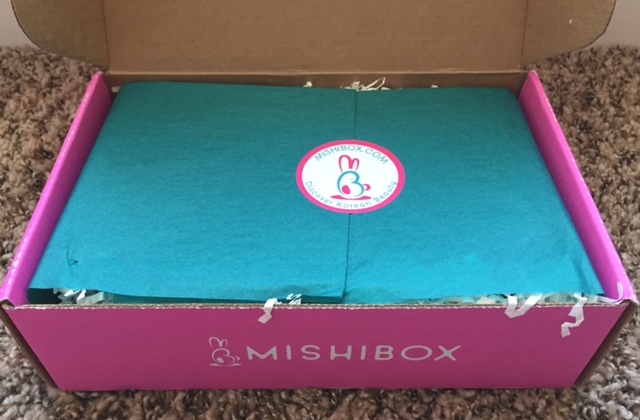 Good job Mishibox! I think this box will be a great choice for those who are new to Korean beauty products & those of us who are on a budget. What really impressed me was how they have responded to the feedback they have received. 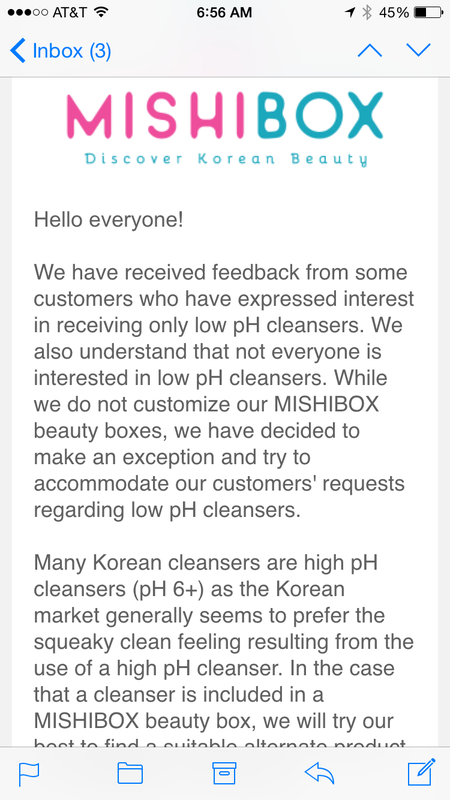 They sent out emails with surveys attached that allowed us to pick the amount of Ph in our cleansers (high, low, or doesn’t matter). The fact that they even acknowledged the feedback they received scored HUGE points with me. To create a survey & attempt to make everyone happy, within reason of course, shows that they are willing to go above & beyond for their customers. Now I am understanding of the fact that they are new & I’m sure they already have products that they need to send out, but in the future I can see them catering to their customer base on a more personal level. 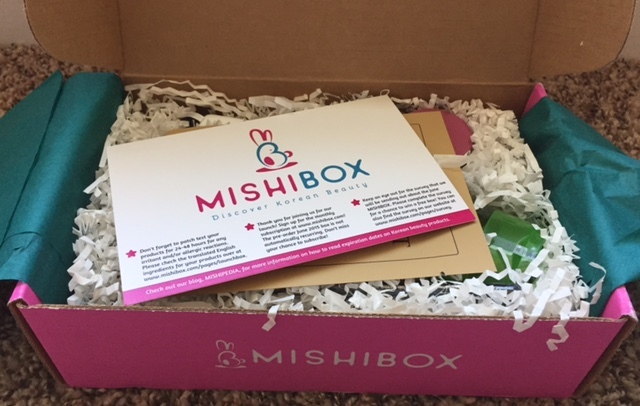 If you haven’t already done so make sure to go sign up with Mishibox so you can join in on the fun too! Until next time my dear SanSeoulites.